One of my dearest friends frequently asks me for ideas for fast and easy main dishes. She is Hispanic, and is often curious about what I am cooking, because to her, it is very different from anything she might prepare. She’s always busy: working, babysitting her grandchildren, visiting and caring for elderly friends, and who knows what else. Makes me tired thinking about it all. So when she asks me for recipe ideas, I try to think of simple and tasty dishes that are quick and easy to prepare. These recipes have only 3 or 5 ingredients, and are enough to serve 4 people when served with a vegetable, soup or salad. They are easy to double if you have big eaters, a larger family, or want to forgo the side dish. I think you’ll find these recipes are super simple, have a quick prep time, are inexpensive, and taste good. Many of them are from my youth. My parents worked shift work, and my mom would keep some of these ingredients on hand so that I could cook the family dinner. So if I could cook these dishes as a teen, I think most teens and even tweens could do it too. To those who are anxious about cooking and think that they can’t cook, I say relax and give these super easy recipes a try. I’m throwing out this ‘give it a try’ challenge to college students, bachelors and brides too. For the accomplished but busy cooks, I throw you a lifeline. My mom often said the worst thing about cooking was deciding what to cook. These 2 rice dishes are super fast to prepare if you have leftover rice or cook your rice ahead of time. Plan ahead. At our house, when we cook rice, we usually cook enough to make both the tuna and roast beef rice dishes. 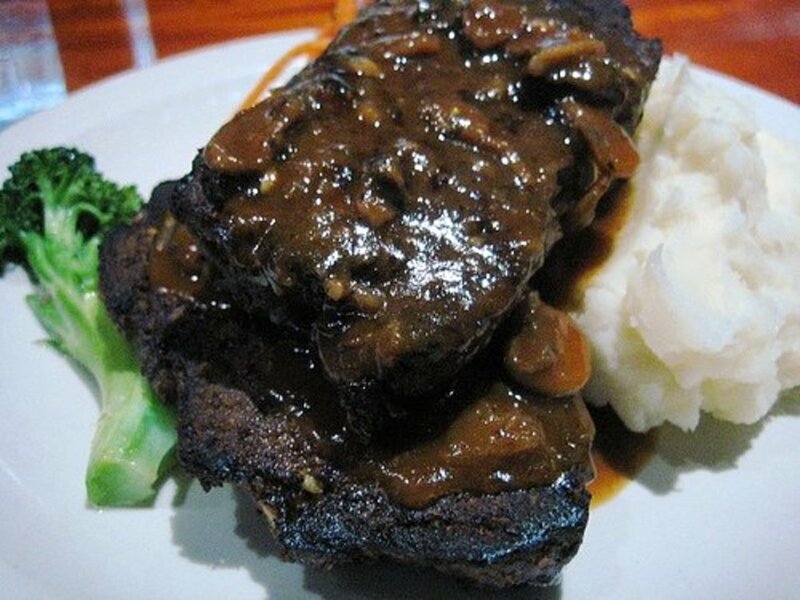 When we prepare a good old Southern style meal of cubed steak with rice and gravy, we cook extra rice for another meal later. Pour soup and water into saucepan. Add drained tuna to soup. Heat on medium heat until moderately warm. Use other favorite cream soup. Try with a can of chicken, turkey or ham instead of tuna. Add roast beef and its juice or gravy. 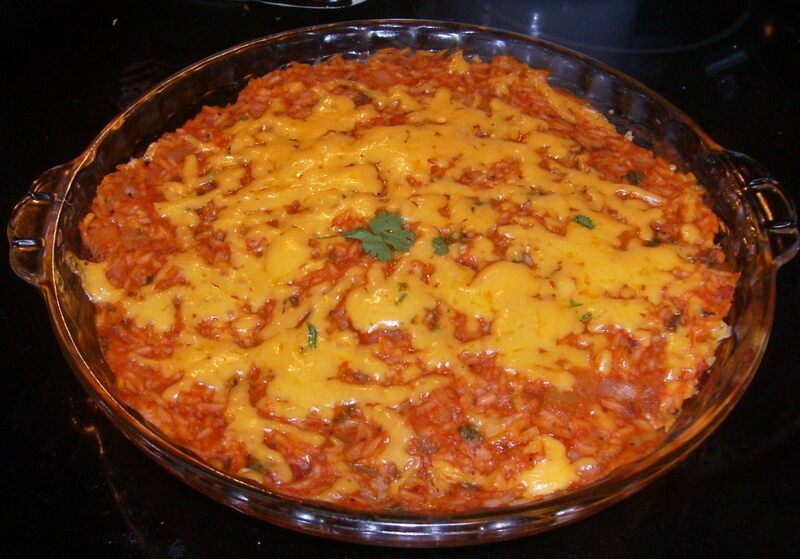 Some people consider “casserole” a dirty word and fear an unrecognizable blob of mystery ingredients. Hopefully these will be a pleasant surprise. Drain tuna and combine with cream soup and water or milk in a bowl. 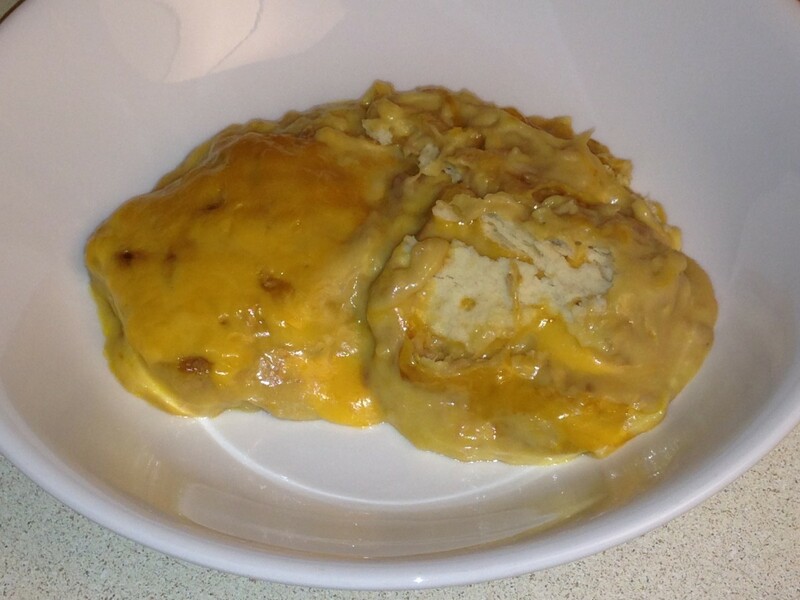 In a greased casserole dish, approximately 9” X 11”, smear 2-3 rounded tablespoons of soup mixture on the bottom of the dish. Layer 1: Arrange a layer of crackers 3 across X 4 down. Spread about 1/3 of tuna and soup mixture over crackers. Sprinkle with 1/2 cup shredded cheddar cheese. Layer 2: Repeat crackers, then tuna and soup mixture. Sprinkle about 1/2 cup cheddar. Layer 3: Repeat crackers and tuna and soup layers. Bake in preheated 350 degree oven until thoroughly warm, about 30 minutes. Remove from oven and top with remaining 1 cup cheese. Return to oven for 10 minutes. Again, a little planning makes for a super quick prep. Brown hamburger ahead of time. When we brown ground beef for a specific recipe at our house, we often cook extra to put in the freezer for Hamburger Helper, to make spaghetti sauce or to jazz up a pizza later. Mix soup and drained browned ground beef. Spread in the bottom of a greased 11” X 13” casserole dish. Top casserole with a layer of tater tots. Add a bag of frozen mixed vegetables to the ground beef and soup mixture. If you know you’re going to be pinched for time all week, cook pasta on the weekend. Pasta microwaves very well. For health reasons, we no longer microwave at our house. 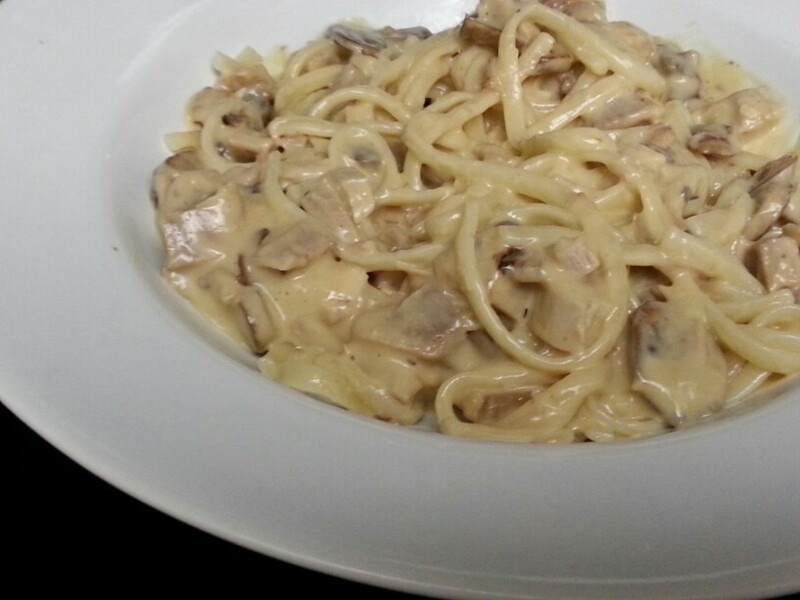 We just stir the refrigerated pasta into the sauce and warm until thoroughly heated. Combine ground beef with sauce in large saucepan or in skillet. Cover and simmer, heating thoroughly. I prefer to simmer at least an hour, until the hamburger texture changes. Brown onions, peppers and/or garlic with ground beef. Use ½ lb ground beef and ½ lb ground pork or Italian sausage. Purchase frozen Italian meatballs. 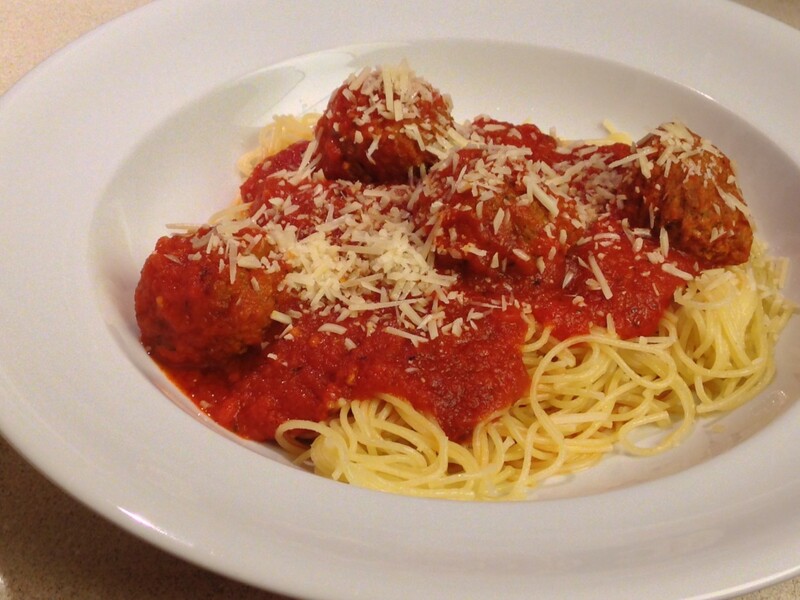 Simmer meatballs in favorite spaghetti sauce for about 45-60 minutes. Serve over spiral pasta or other favorite pasta. 1. Pour soup, milk and turkey into large saucepan or skillet. 2. Cover and simmer. Heat thoroughly. Brown onions and mushrooms and add to soup and meat mixture. Add a small can of corn for texture, and a half can of English peas. Use a can of chicken instead of turkey. Serve over other favorite pasta. 2. 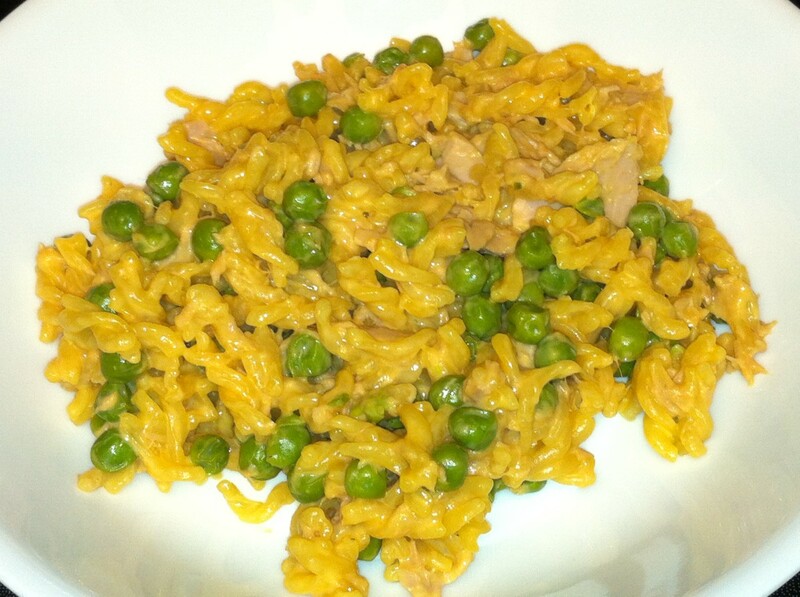 Pour tuna and peas with juices into a pan and heat, then drain. 3. 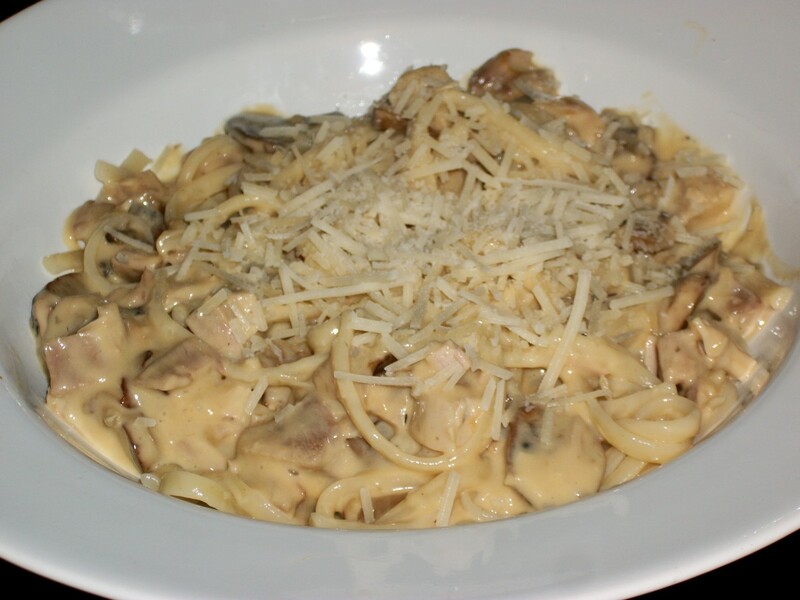 Prepare cheese sauce in pan with milk, whisking constantly. 4. Add pasta to sauce, coating pasta well. 5. Combine all ingredients in pan and heat together. 1. Slice the beef into thin strips. This is easier if partially frozen. 2. Brown beef strips in skillet. Add oil as needed. 3. Combine meat and noodles in skillet. Soup and sandwich is a classic, satisfying meal. There are countless choices, but here are a couple quick and easy ones. 1. Pour soup and milk into saucepan. 2. Heat on medium heat until hot, careful not to scorch. 3. 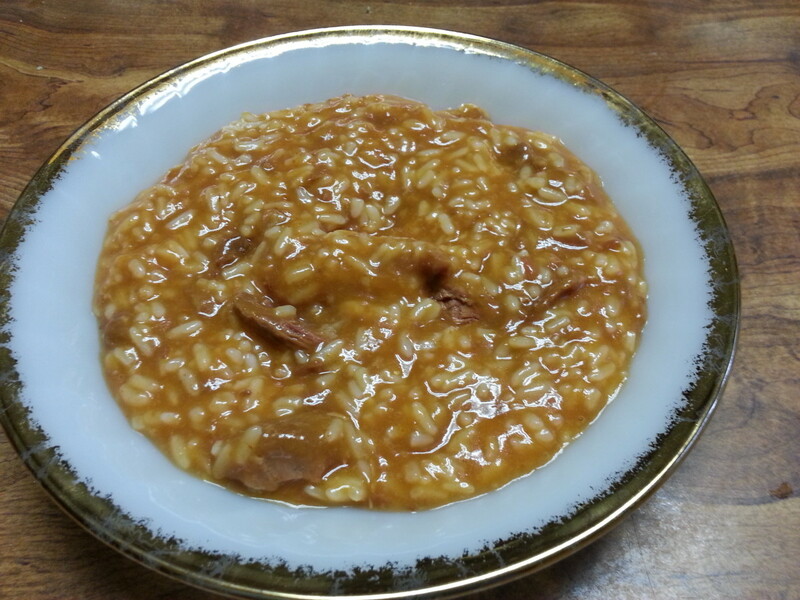 Serve soup with cooked rice on top. 4. Prepare hot sandwich according to package directions. 5. Serve soup with hot sandwich. Try soup with crushed saltines on top, my dad’s favorite! Or try with croutons. 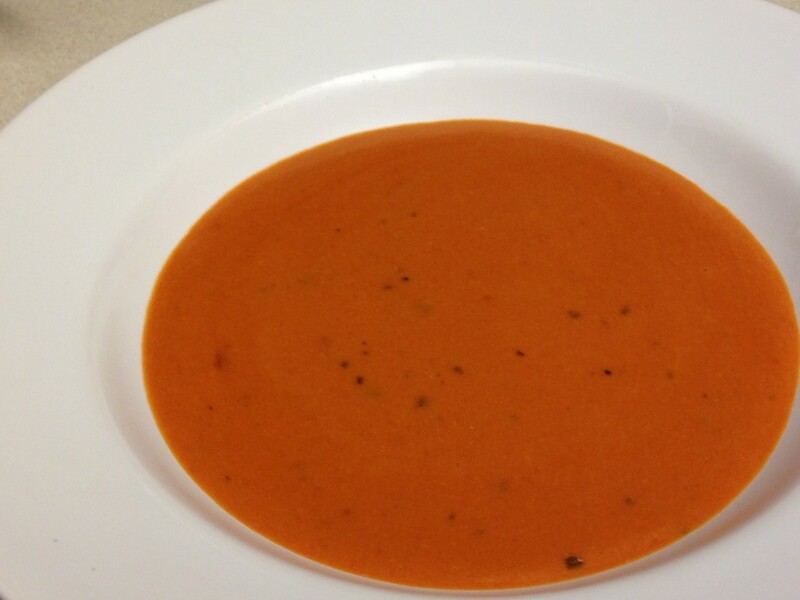 For a real treat, buy a large jar of LaMadeline’s Tomato Basil Soup from the restaurant or available at some large grocery chains, like HEB in Texas. 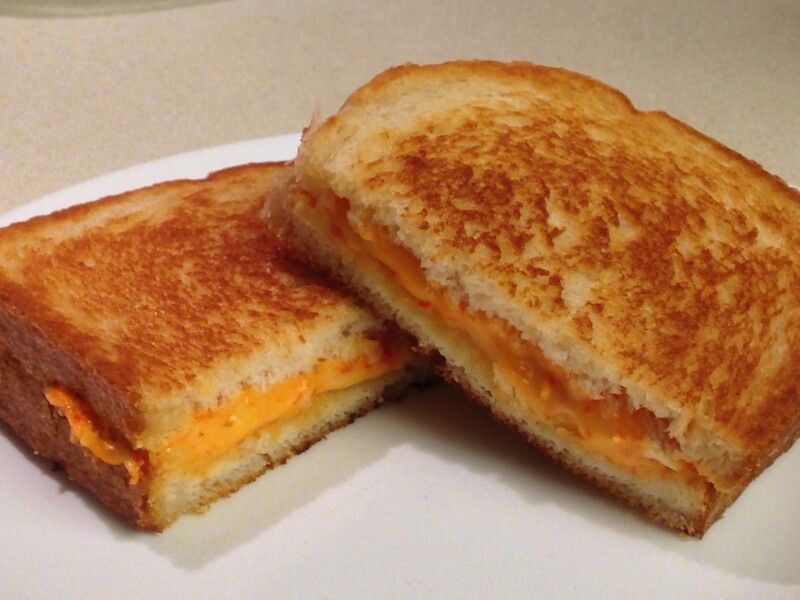 Serve with grilled cheese, or other hot sandwich. Schwan’s makes toaster poptart-style cheese, ham and cheese, or bacon, ham and cheese versions that are good. 1. 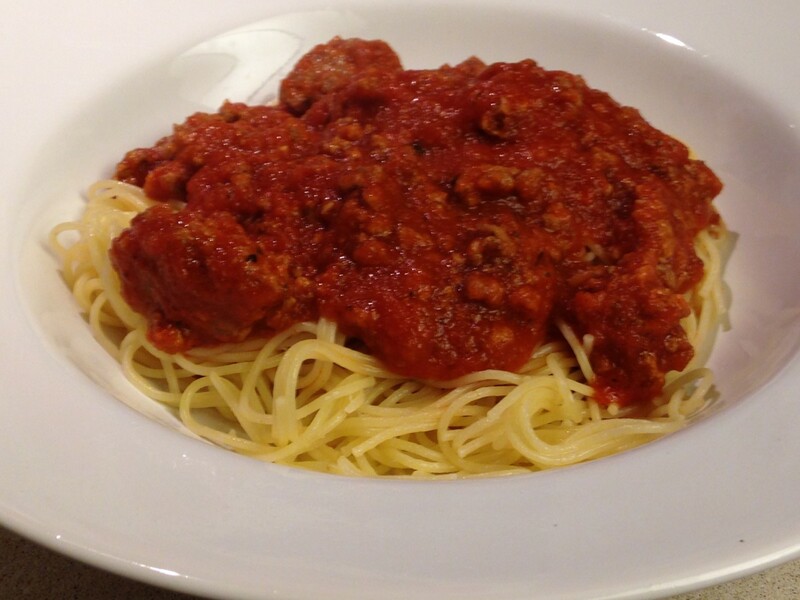 Cook meatballs in spaghetti sauce in crockpot 6-10 hours. 2. Heat buns if desired. 3. 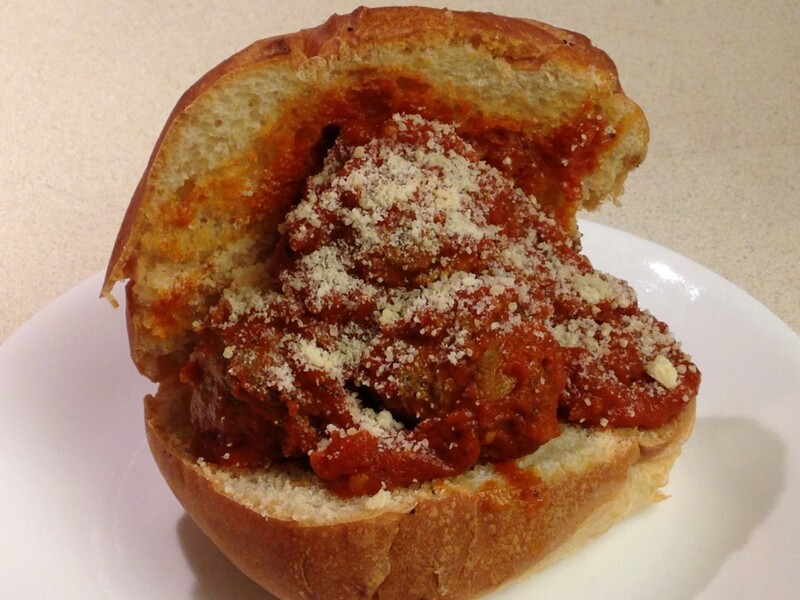 Place 5-8 meatballs on bun. Add sauce. So I broke the 3 to 5 ingredient rule here, but try it and you’ll forgive me. I copied this recipe from an old colleague, Dr. Chris, and made it even better. On the hot Texas summer nights when we don’t want to use the stove, we make this salad at our house. We make individual portions in these relatively huge bowls. We call it The Big Arsed Salad. It was a by-name request at many of my covered dish luncheons at work. I took all the ingredients and put it together on site. 1. Prepare dressing with really good quality olive oil and balsamic vinegar. 2. You can make 1 giant salad. The advantage to making individual salads is everyone can decide how much tomato, onion etc. they want. Do it self-serve buffet style. 3. 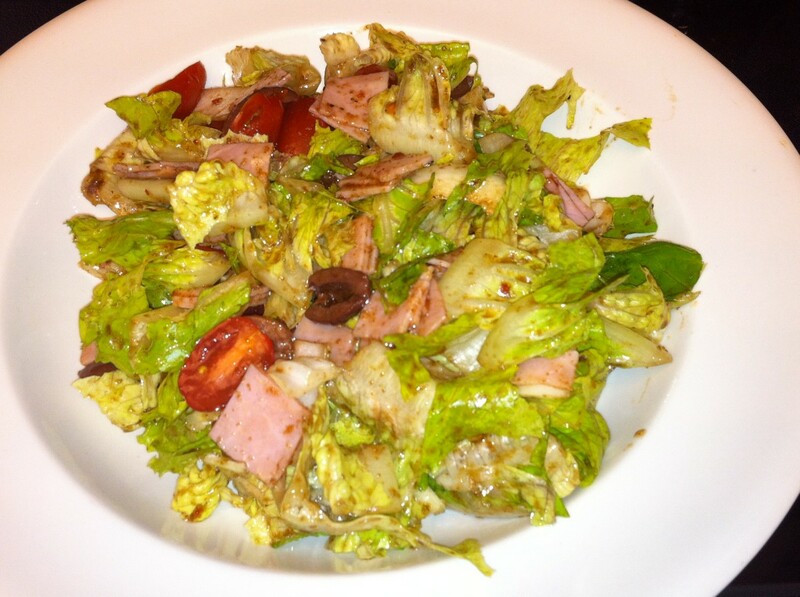 Add tomatoes, onions, feta, olives, and meat as desired to chopped lettuce. 4. Pour dressing as desired. Combine well. 5. Top salad with sunflower seeds if desired. Use any deli meat or combination such as ham, chicken, or turkey. Use sliced or rotisserie chicken. Use a mixture of salad greens such as romaine, baby spinach, field mix, spring mix or herb mix. A favorite version of a classic. 1. Pour chili over potato. We peel, cut up and cook potatoes ahead of time, then heat and mash. 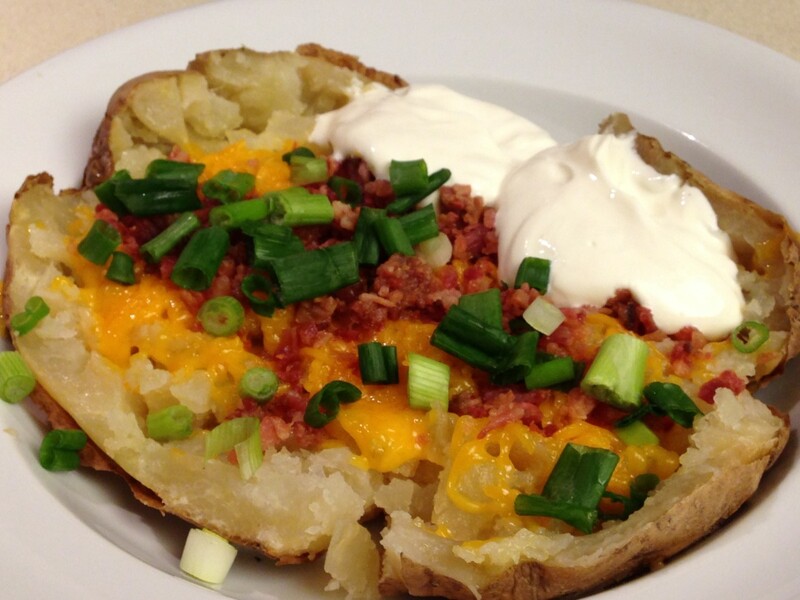 Top with chopped onion, sour cream, or plain yogurt. I hope I’ve inspired you to try a few of my fast, easy and inexpensive main dishes to build your meal around. I love great cooking, and spending time in the kitchen nursing a great dish, but sometimes life just gets in the way of our greater cooking aspirations. We don’t have to succumb to fast food or carry out. Whether a new cook, or experienced but busy cook, you can still have a tasty meal at home. Great Hub! Thank you for these very straightforward recipes! These are great ideas for quick meals. This is great! I love quick and easy recipes. Gross. How could anyone call mixing a bunch of cans and packages together cooking? And you're worried about your microwave being unhealthy? Thanks jmartin. I also have hubs on Fast, Cheap, and Easy Casseroles, and Fast Cheap, and Easy Pasta recipes. Good luck. Great hub, awesome recipes. I'm a tuna fan and there was a few of those. I just moved into a new apartment by myself and am going to struggle a bit in the kitchen and financially! ha.... so I'll definitely refer back to this hub when I get hungry! Thanks for these good recipes. Very very nice and great information Hub. 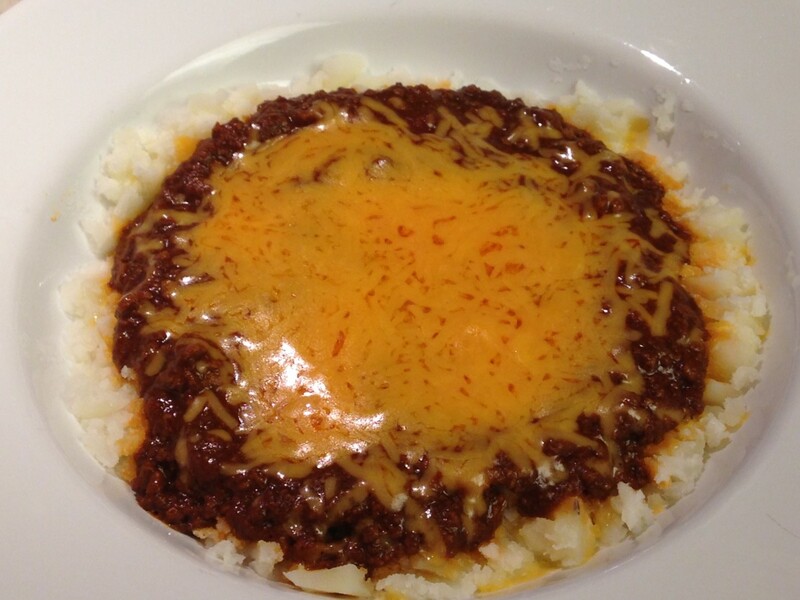 The baked potato chili and cheese sounds great. Why didn't I think of that. Thanks for the recipes! Thanks for reading and commenting toknowinfo. And thanks for the rate up. Great ideas for a quick fix it meal. Rated up and useful. Thanks for sharing. Thanks for visiting janesix. What's not to love about a good meatball hero, right?! Thanks Dave. So what did you try? I was just hub hopping when I found this. Gonna use one tonight. Thanks a bunch. Voted up and useful. Thanks so much myster!ous for visiting and commenting. Thanks wordscribe. My mom always says she doesn't mind cooking nearly as much as trying to figure out what to cook! I am making 2 of these dinners this week, the meatball sandwiches and the baked potatoes. Thanks for the ideas... I think my kids will love 'em. yyn1221 great point. We seldom have extended power outages in my neighborhood, probably because we're on the same grid as the medical center. Recently however, we were without power a couple hours and one of my best friends was out for over 24 hrs! Be prepared, right? Even though I like to cook 'slow food' -- and use a lot of fresh ingredients, these are very good ideas for quick meals and especially for ingredients to keep in the pantry for emergencies like power outages. Most of them are quick to prepare even with little time and little fuel expended. Thanks for visiting and commenting oceans. 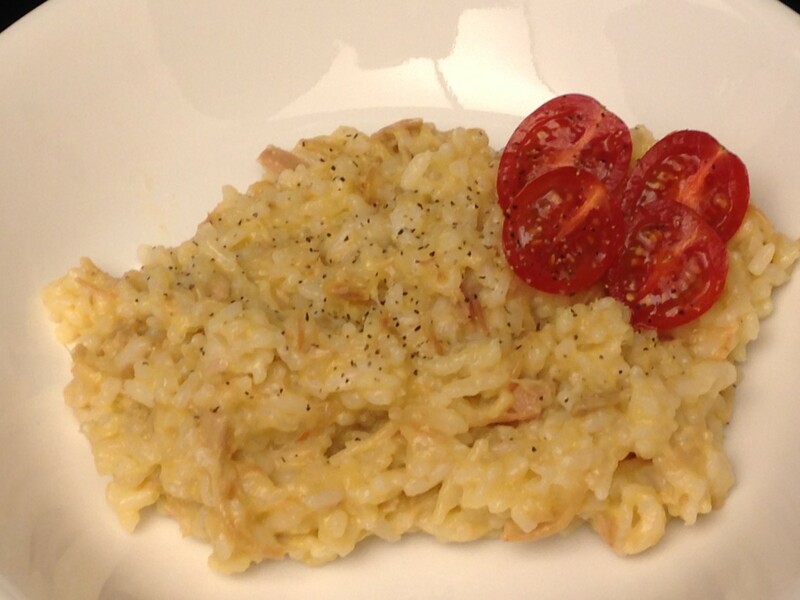 Thanks for sharing your easy recipes with us. They will come in handy at times for sure. Life gets so busy, but people still need to eat every day. Oh ok. Well, I'm liking most of these and will sure try them out. Rochelle, I'm so glad you found some of these selections "value added". trish there are no potatoes in the salad. The potato entrée is below the salad. Sorry for the confusion. Oh boy! there are several here that I think my granddaughter would love. I have a question though, about the big salad. Where do the potatoes come in? I don't see them listed. I can't wait to try the tuna casserole as I so love cheddar cheese. It sounds yummy! These are ideas to keep on hand. Thanks. Rated up and bookmarked. Thanks for reading and commenting rwygovsky. Thanks for sharing! I found a few of my own favorites in here, and some new recipes too! Hendrika, tator tots are in the frozen section. They are minced potatoes, formed into a shape like tiny soup cans. Typically you fry them. I suggest you use french fries, but on the bottom. I have made this with frozen french fries. I baked them in the bottom of the pan first. Then I made a mixture with the soup, hamburger, and mixed vegetables. I have also made this with left over McDonald's french fries. These recipes sounds really tasty and easy. As a South African I do not know what tater tots are?? We love tuna, but unfortunately it is too expensive for us to have on the menu too often! Great tips Leenie! I'll go back and add the meatball idea to my Super Fast Cheap and Easy Soups Stews and Chowder hub, and link to your profile. I haven't written my "rice dishes" or "side dishes" hubs yet. I'd love it if you'd write a hub on these tips. Then we can trade links. I hope you don't mind if I add to your list of Super Fast Cheap and Easy Main Dishes. Cleaning out the pantry and fridge works wonders on the budget and because the pantry items tend to be prepared foods they're very quick and easy. 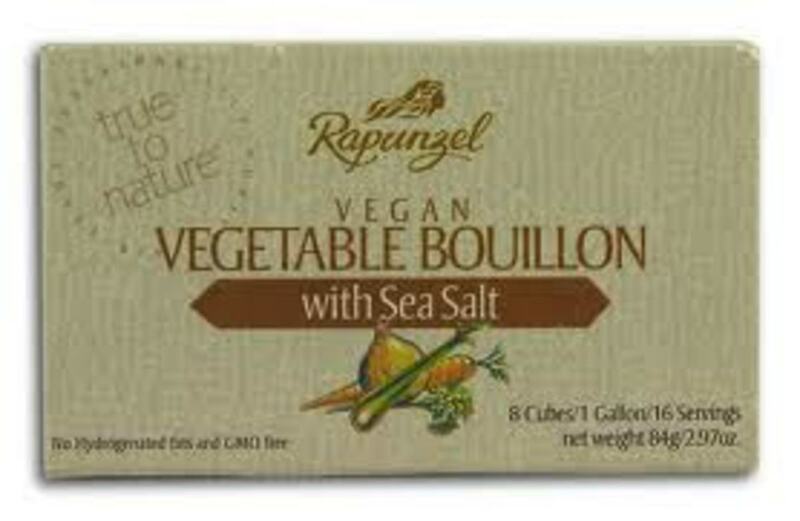 For instance I'll add fresh veggies to a box of Rice A Roni or meatballs to canned or box soup. Thanks Kimberly so much for being the one to recognize my first "100" hubscore. Of course it didn't last, it was down to the low 90s this morning when I got up. But that's okay- I've got a screen shot. Thanks again HubBuddy! ps- gave it two thumbs up! Thanks for your support Rope! I really need to get cracking on my "healthy" recipes, but these are more fun. I hear ya enajeon. I was just thinking yesterday I need to sit down and type up an action plan- list all the vegetables and vegetable dishes that I like. Causes some logistical problems- the healthy vegetables don't come in a can for the most part. That means lots of frig and freezer space. Thanks for reading Leenie. I hear ya, not enough hours in a day. We don't have Trader Joe's in San Antonio. I guess my recipes are more like FoodNetwork Semi Homemade (Sandra Lee) or 30 Minute Meals (Rachael Ray). Thanks for the recipes. I love to cook but lately have been doing more of what would be more accurately termed "assembly" rather than cooking. Trader Joes is my go-to source for this method of cooking. For instance I'll mix their yogurt cilantro dip with a can of crab meat and I have a delicious crab salad that I scoop onto crackers and/or slices of cucumber. Or I mix their pre-cooked brown rice with their boxed carrot ginger soup and serve mango slices on the side. Dinner's on in 5 minutes (or less). Thanks Springboard for your comment. I used to spend hours nursing spaghetti or lasagna sauce in my younger years. More recently, life got in the way... The theme of this hubs was Fast and Easy. If you have a 30 min recipe, by all means you can message me the link and I will include it above if it is a hub. If not a hub, you can post in the comments like Simple Tim did with his pesto recipe in my Pasta hub. Definitely some excellent ideas here worth trying. I'm especially looking forward to the teriyaki beef and noodles and I haven't really done the potato and chili thing—though the wife and I often do it with hamburger and Manwich and top with onions and cheese. Great suggestions, great hub, I'm hungry already! Thanks so much for reading and commenting Betty. I hope you will check out some of my other recipe hubs. This is a great hub! 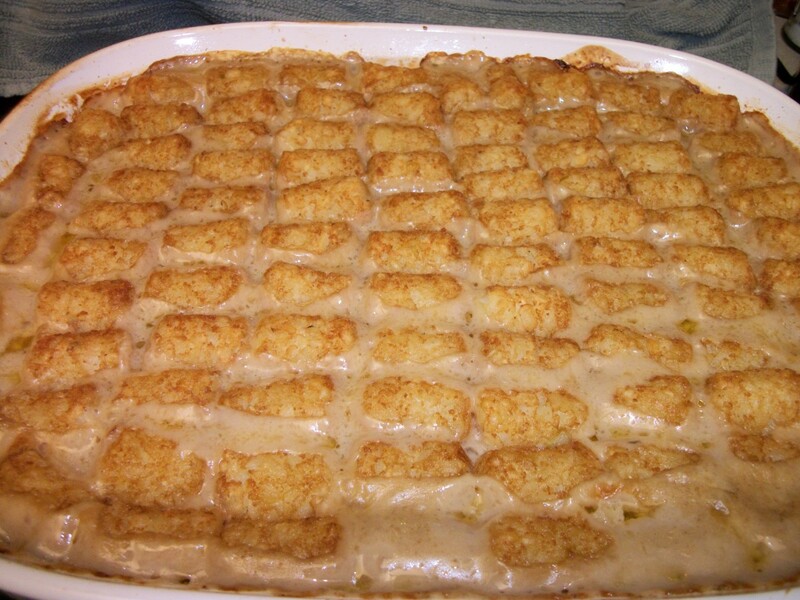 The tater tot casserole looks great, and I'd like to try that turkey tetrazzini. These are great - I'm all for quick and easy recipes. Thanks! Thanks lorlie for reading and commenting. Hope you enjoy the recipes. 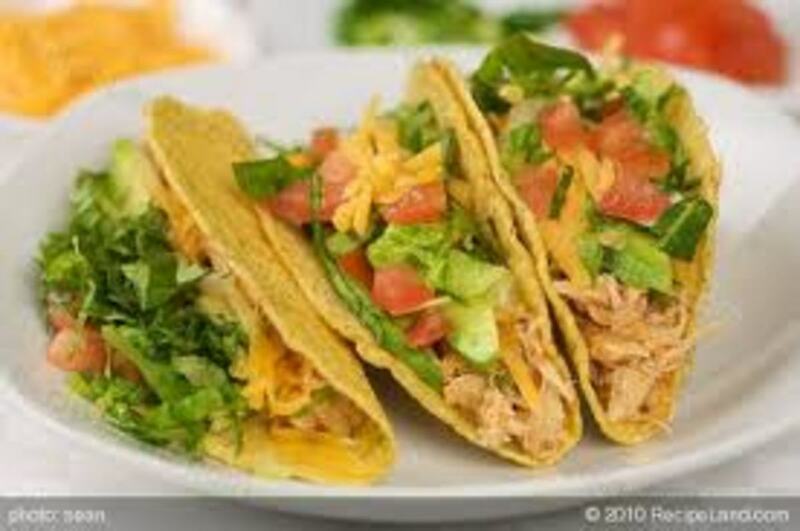 I love these ideas, though I'll be substituting something like chicken for the tuna! I'm allergic to seafood. Thanks, though, for such great recipes! Great hub, but super-fast isn't always that healthy for you, in fact things that are made quickly contain a lot of bad preservatives and fats. Yes the Tator Tot Casserole seems to be a front runner favorite. It's on my Casseroles hub too. I buy organic frozen corn from Costco and find I add it to more and more dishes for a texture contrast. Thanks for reading and commenting ethel. These are such quick and easy recipres yet the meals will be nutritious. Good stuff. Thanks for reading suziecat. I hope you'll check out my other recipe hubs. Good inexpensive and easy recipes for the busy person. Glad I found you. Thanks Csjun for stopping by and commenting. Let me know how it goes with the recipes. I'm going to try out the recipes soon! Thanks for stopping by BlueGreen. Thanks for the tip on the teriyaki. I also thought about stirfrying some extra vegetables. These are some good ideas for quick meals. Actually, I use a variation of the teriyaki beef recipe you wrote. 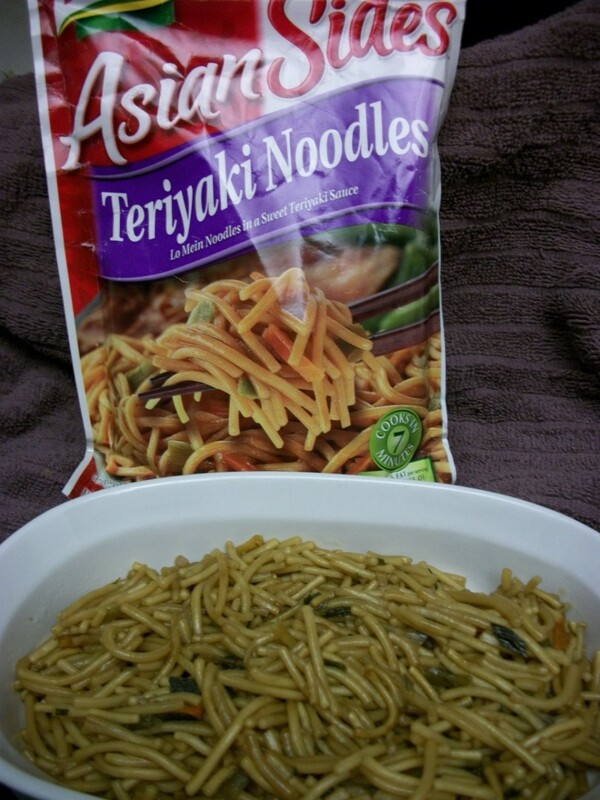 I use the same Lipton Asian Sides, but cook the meat and add teriyaki sauce and serve separate. Thank you thilaganesh for all the great feedback. Really Great Hub with nice pictures and videos! You have given great tips for each item. All the items are not only simple and also the best ones for our health! High praise indeed redchic! Thanks for reading. I just drooled all over my shirt!!! I ate dinner already and now I am hungry again, great stuff!!!!! Thanks Lady E. That's high praise! Wait until I publish my favorite dishes from Mom's! Thanks freta. The Tator Tot is definitely 'tried and true'. Really good suggestions on main dishes. Most of these I've used, but the Tater Tot Casserole looks good. I'll give that one a try. Thanks for reading Harper! Easy, right? Nice Hub. 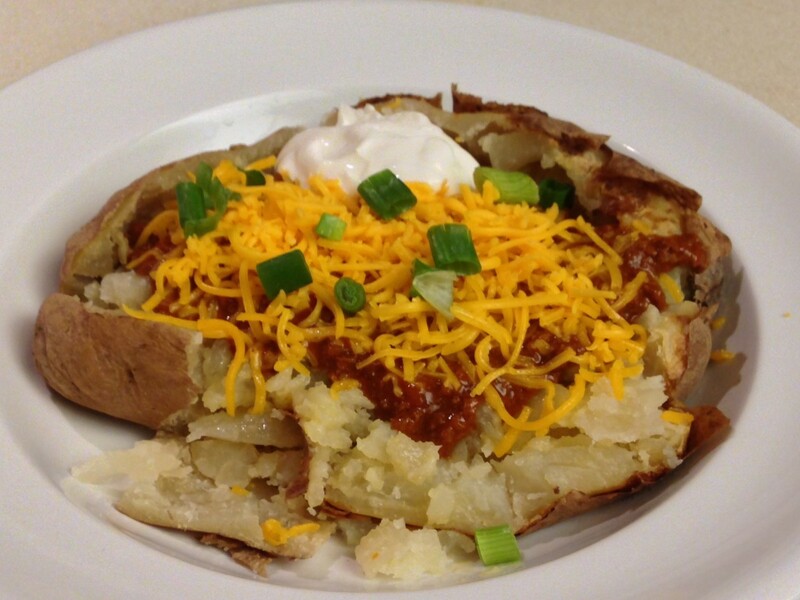 The baked potato chili and cheese sounds great. Why didn't I think of that. Thanks for the recipes! Absolutely! I'll check out more of your hubs, and suggest pairings for some of my other recipe hubs later? That would be great! I will do likewise, with your permission. Thanks JudyD. I'm really enjoying your A-Z series. I think your E for Economical would be a good link for this hub. These are really fast and easy recipes. I usually have most of the ingredients in my pantry.